This entry in the stunningly photographed Showcase 500 series features the most gorgeous necklaces you've ever seen. Lovingly crafted by renowned jewelers from around the world, these one-of-a-kind pieces display technical excellence, diverse forming techniques, and unceasing beauty. 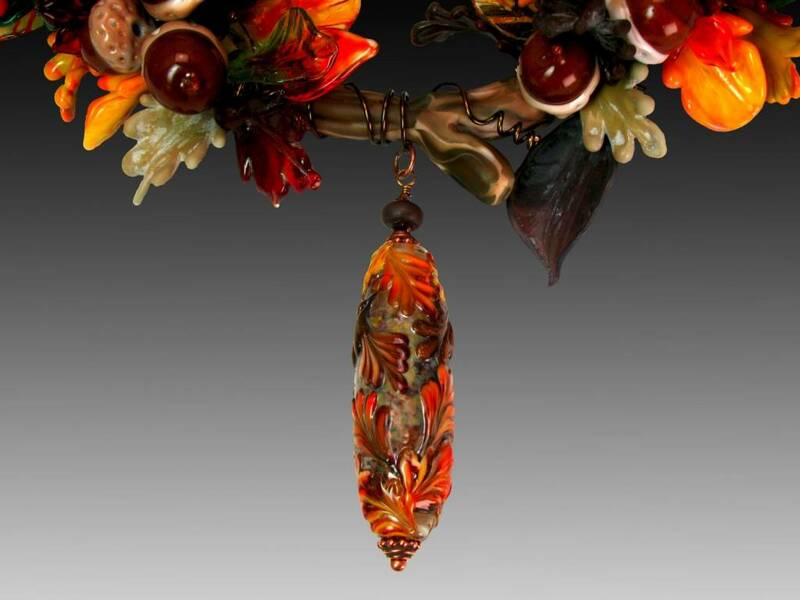 Made of materials that range from traditional metals to nylon, fabric, and found objects, these necklaces will leave crafters, jewelers, design fans, and collectors awestruck. "Memories of Autumns Past" was selected for inclusion in this publication. Additional photos available in "Indelible" entry below.